Here you will find an array of Equipment that we have found useful when Carrying Out Nest Box Monitoring and/or Bird Ringing. Bird Ringing Equipment that Requires a Permit to be held by the users can be found in the Ringing Equipment section. 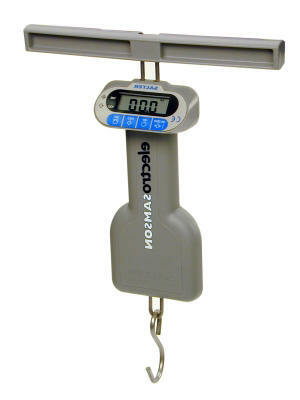 We have selected a range of Portable Electronic Balances backed up with a few Manual Balances to cover the general weighing of birds are well as other applications. We hope to have provided a selection of Electronic Balances at prices that become a viable alternative to a set of traditional Manual Spring Balances generally used at present. 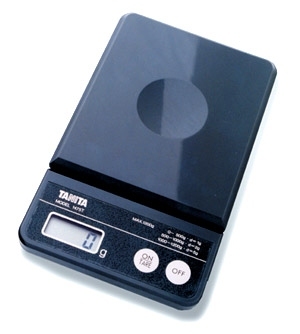 We have used a type of electronic balance since 1997. We have found good points and bad with the electronic balances we have used. Stable readings are hard to obtain in windy conditions or on unstable surfaces. They should not really be used in poor weather or dirty conditions and require batteries. On the positive side, they are much easier to read and cut out incorrect reading of scales. They are also easy to zero allowing more than one Weighing Cone to be used per balance. Electronic Balance Technology has improved a great deal since we bought the balances we use in the field therefore reducing the negative aspects by a significant amount. As a preference we try to use Electronic Balances whenever possible. For surface weighing balances we tare in a Take Away Carton and Weighing Cone, place the Bird in a weighing Cone and place these in the Take Away Carton with the bird on its back. We have found this gets the best results. 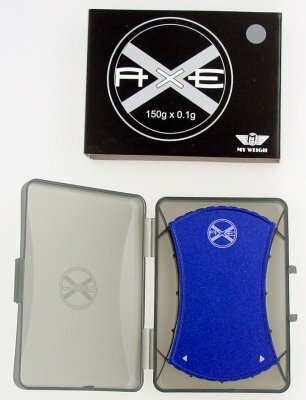 Description : Old fashioned great value aluminium body and framed balance with clip. Specification : Capacity 100g in 1g divisions. Description : Hand held tough corrosion resistant ABS bodied Spring Balance with hooks at each end. Tare screw for Zero adjustment and easy read scale. 1 Year Manufacturers Guarantee. Specification : Capacity and divisions as indicated by Item. User Comments : We have used this type of balance for over 10 years and found them to be tougher than metal bodied Spring Balances and much more tolerant to wet and dirty conditions in the field. 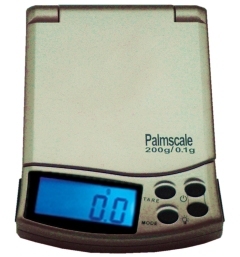 Description : Single PP3 battery powered hand held electronic balance with large display. Padded carrying pouch with belt clip supplied. Specification : Capacity and divisions as indicated by Item. kg/lb/oz Switching. Auto shutoff to maximise battery life. Display hold function. See BAR-PP3 for replacement batteries. User Comments : Ideal for large birds such as Swans and Geese. Please place the Style Code after the Product Code and the Style Name after the Item when Ordering. Move the courser over the picture for the details. Description : Durable rubberised case and component mountings. Accurate, Reliable, and Fast thanks to its fast processor and enhanced digital filtration ensures performance even in difficult environments. Easy to use with buttons with and bright blue backlight display. Switching capacity g/oz/ozt/dwt/ct. 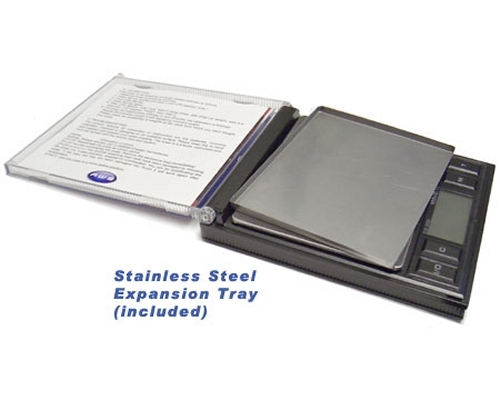 Stainless Steel weighing platform 7cm x 7cm (2.75" x 2.75") and expansion tray to 11cm x 7.2cm (4.5" x 3"). 2 x Long lasting CR2032 Lithium Batteries included along with 100g Calibration Weight, Protective Pouch, Tweezers, Scoop, Expansion Tray, and Hydro Hinged Lid. And finally ... a 30 Year Worldwide Manufacturers Warranty. Specification : Maximum Capacity and Accuracy : 200g ±0.1g, 1000ct ±0.5ct, 6.4ozt ±0.005ozt, 7.060oz ±0.005oz, 128.7dwt ±0.1dwt. Operating Temperature 17°C to 30°C (64°F to 86°F). See BAC-CR2032 for replacement batteries. 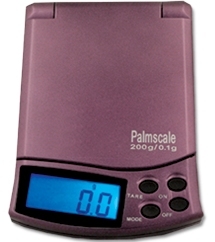 User Comments : No wonder it's one of the best selling Pocket Scales in the UK and North America. 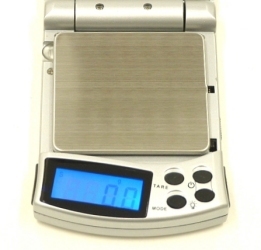 Description : The Worlds Smallest and Lightest Digital Pocket Scale. Simple 2 key operation, Auto Calibration and full Tare capacity, Clear 4 digit LCD Display and Auto-off function after 2 minutes to extend battery life. Switching capacity g/oz/dwt/ct. 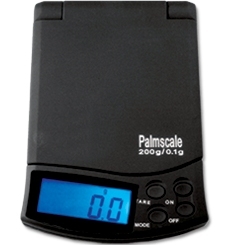 The light weight of the scales combined with twin U-shaped load cell makes this scale more resistant to Shock, Overload and damage. 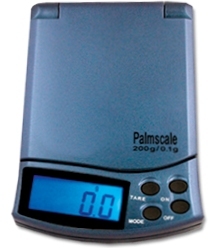 The scale comes in a Poly Hard Case and is supplied with 3 x LR44 Batteries and a 30 Year Worldwide Manufacturers Warranty. Specification : Maximum Capacity and Accuracy : 150g ±0.1g, 750ct ±0.5ct, 5.3oz ±0.005oz, 96.5dwt ±0.1dwt. Operating Temperature 15°C to 30°C (60°F to 86°F). Dimensions 8.5cm x 4.5cm avg (3.25" x 1.75") / 5cm x 4cm curve (2" x 1.5") Depth less than 15mm (0.5"). Weight 42g. See BAC-LR44 for replacement batteries. User Comments : Small Scale at Small Price for Small Birds. 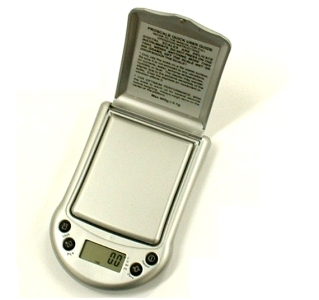 Description : One of the Worlds Smallest Digital Pocket Scale with a weighing capacity about 3x greater than it's closest rivals. 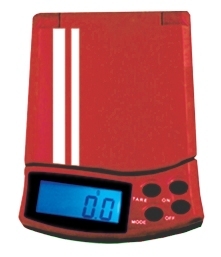 Clear digit LCD Display mounted in the Lid allows greater area for the weighing platform. Switching capacity g/ozt/oz/dwt. 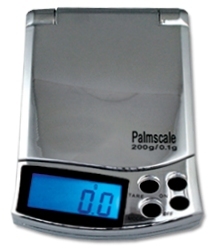 The scale comes complete with Carrying Pouch and Belt Clip, Tray, Tweezers, Spoon and a 30 Year Worldwide Manufacturers Warranty. Specification : Maximum Capacity and Accuracy : 350g ±0.1g, 11.256ozt ±0.005ozt, 12.384oz ±0.005oz, 225.125dwt ±0.1dwt. Operating Temperature 15°C to 30°C (60°F to 86°F). Dimensions (w x l x h) 70mm x 95mm x 24mm (2.75" x 3.75" x 1") when folded, 70mm x 150mm x 85mm (2.75" x 6" x 3.3")when open. Lid LCD Display 54mm x 24mm (2" x 1"). Weight of scale 100g, full kit 150g. Requires 2 x BAC-CR2032 batteries. User Comments : If you are looking for a small compact balance with a large capacity then this is probably the balance for you. Description : High capacity balances with large weighing platform and protective flip lid. Easy to read LCD display. Balance supplied with own protective cover. Specification : Maximum Capacity and Accuracy : PS250 - 250g ±0.1g, 8.040ozt ±0.005ozt, 160.8dwt ±0.1dwt, PS500 - 500g ±0.1g, 17.075ozt ±0.005ozt, 321.51dwt ±0.1dwt. g/ozt/dwt Switching. Dimensions (w x l x h) 83mm x 125mm x 22mm (3.25" x 5" x 0.9") when folded, 83mm x 212mm x 19mm (3.25" x 8.3" x 0.75") when open. LCD Display 35mm x 16mm (1.4" x 0.65"). Weight of scale 128g, with cover 142g. Requires 2 x BAR-AAA batteries. User Comments : Balances more suitable for the weighing of thrushes and other larger birds. Description : High capacity balances with large detachable weighing platform. 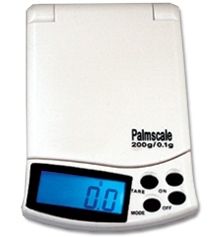 Easy to read 4 digit LCD display. Balance supplied with 3 x LR44 Alkaline batteries. Specification : Maximum Capacity and Accuracy over range : 0-500g ±1g, 500g-1000g ±2g, 1000-1200g ±5g. Dimensions (w x l x h) 87mm x 142mm x 15.3mm (3.5" x 5.7" x 0.6"). Weight 190g. See BAC-LR44 for replacement batteries. User Comments : High capacity balance at a reasonable price. Good for weighing the heavier birds but you loose the accuracy at the lighter end of the range. 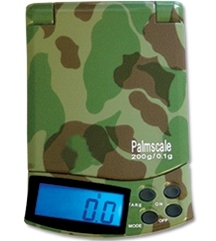 If you have a small low range balance and want a relatively cheep digital balance for larger birds then this could be the solution. 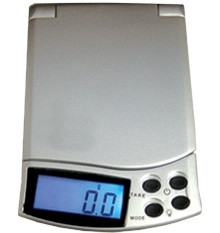 Description : A Professional High Capacity Compact Balances with large Stainless Steel weighing platform. Easy to read large LCD display with backlite. Balance supplied with 6 x AA batteries. Optional Mains Power Supply Unit Adapter available. This balance has an integrated thermistor to compensate for temperature changes and auto zero tracking for stability. Switching g/oz/dwt/ozt/ct/lb/gn. Auto Off and Backlight are adjustable. Certified Accurate to ±0.1g and with a 30 Year Worldwide Manufacturers Warranty. Specification : Maximum Capacity and Accuracy : 1200g ±0.1g, 6000ct ±0.5ct, 39ozt ±0.005ozt, 42.5oz ±0.005oz, 772dwt ±0.05dwt, 2.65lb ±0.0005lb, 18518gn ±1gn. Operating Temperature 0°C to 40°C (32°F to 104°F). Dimensions (w x l) 145mm x 205mm (5.75" x 8"), Platform Dimensions (w x l) 145mm x 145mm (5.75" x 5.75"). Power Source : 6 x AA batteries (See BAR-AA for replacements), AC/DC, or Optional 9V/100mA Adapter RB10-PSU1. User Comments : Top of our range balance providing accurate readings across the full range in most conditions. Not a pocket balance but ideal if you want just one balance to cover a wide range. 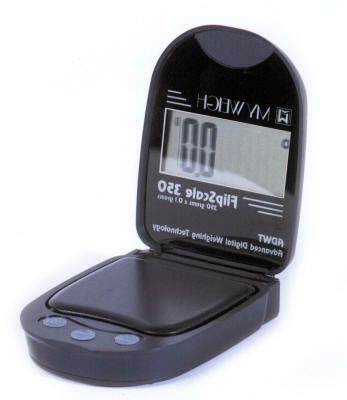 This balance is possibly more suitable for Ringing Stations or Ringing Groups rather than individules. 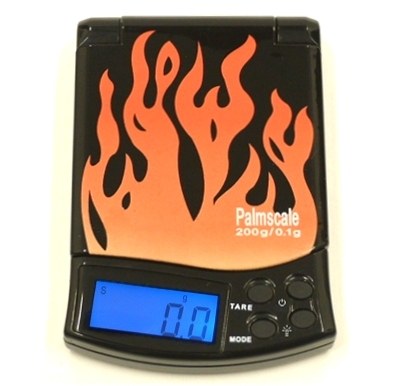 Description : Powered by 2 AAA batteries (included) this easy to use compact digital scale is housed in a CD style case and comes with a Vinyl Pouch. The large Stainless Steel tray also protects the Stainless Steel weighing head when not in use. 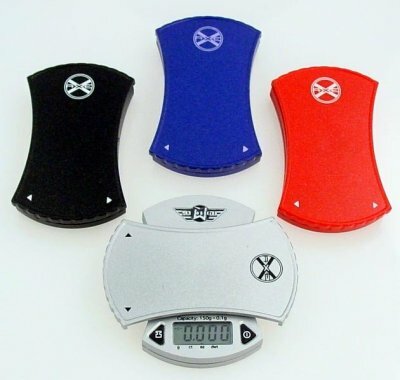 The scale comes with a 10 Year Manufacturers Warranty. Specification : Maximum Capacity and Accuracy : 500g ±0.1g, 16.08ozt ±0.01ozt, 17.64oz ±0.01oz, 321.5dwt ±0.1dwt. Dimensions 115mm x 140mm x 20mm (4.5" x 5.5" x 0.75"). Operating Temperature 10°C to 30°C (50°F to 86°F). g/ozt/oz/dwt Switching. See BAR-AAA for replacement batteries. 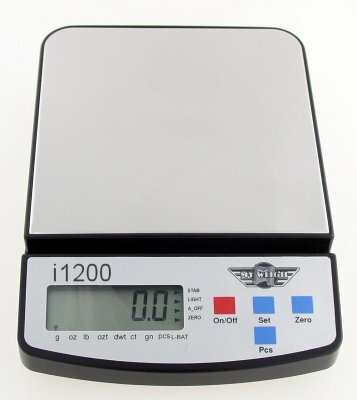 User Comments : Just added to our range for it's large weigh head size, 500g capacity and low price. User Comments : We have used a very similar lightweight plastic calliper set for taking biometrics for a number of years. The big advantage of these Callipers is the Digital Display, rather than the Traditional Scribed Shaft which had to be lined up and read. We found non-technically minded people would very rarely get an accurate reading with the Traditional Callipers. Plus the Digital Display is fare easier to read, especially in torch light. Description : Chrome or Steel Rules with 20mm High Aluminium End Stop for Butting up Birds Wings for biometrics. User Comments : 150mm and 300mm are suitable for most General types of Ringing. We have used the 600mm Rule for several years on Larger Wildfowl and Waders with no problems. User Comments : An unusual size Wing Rule at a low price. 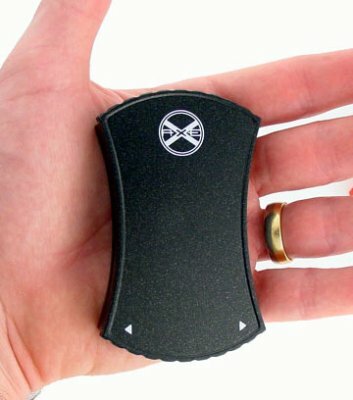 Description : A Wide Rigid Aluminium Rule with 30mm High Aluminium End Stop for Butting up Birds Wings for biometrics. User Comments : An unusual size Wing Rule Suitable for Swan and Goose Wing Measurements.